This is the page for you to find out a little bit more about me. Name and Location: My name is Hazel and I currently live in Wiltshire, UK. Wedding details in brief: I got married in Berkshire on 8th October 2016 on a 6.5k budget with a colour theme of navy blue and gold. Why the small budget? We chose to get married on a small budget as we didn’t want to put too much emphasis on the wedding day. To us, the wedding is just one day, one that, from what we’d been told (and now from experience I too can say), goes by very quickly. So we decided to put the emphasis of the wedding on the commitment we were making to each other and the marriage that follows, rather than on how much we had or hadn’t spent. I was born in Germany as the second child (second of 2) to an airman and his wife. In my first 7 years I had lived in 3 countries, and 5 houses. The house I live in now is the 14th house I’ve lived in. I’m a proper nature loving girl. My parents are bee keepers and before my Dad joined the RAF he was a a farm labourer. My parents love of the great outdoors has been passed down to me quite strongly. Going from the point above about having been engaged twice, I guess I should tell you more about the engagements. 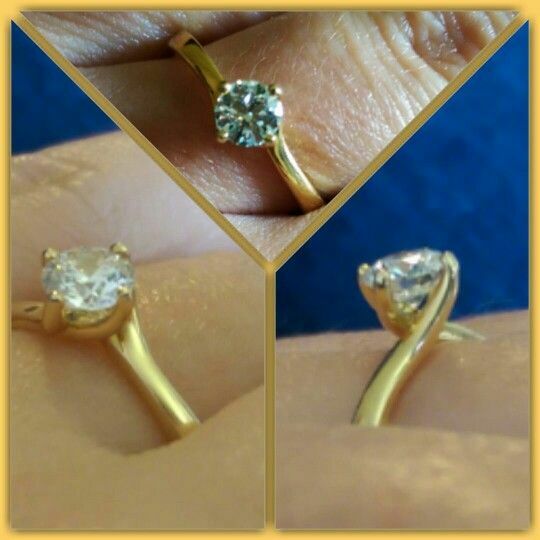 I got engaged for the first at the tender age of 18 (a few days before my 19th birthday). I do not regret getting engaged young even though I do now look back and wonder what the rush was; I have very good memories of my first love and do not regret the time we spent together. 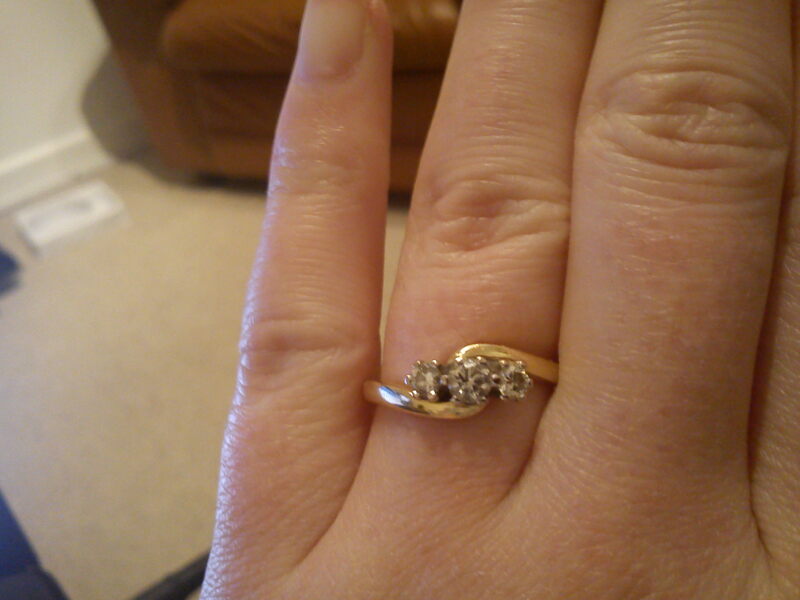 I’m not going to comment too much on this engagement but here was the ring. In November 2010 we booked the wedding venue, to get married October 2012, however our relationship ended on a mutual and friendly basis early 2012. I met my Husband at work when I started a new job and found myself instantly attracted to him in a way I had never been attracted to someone before. After a few months of working together and going for drinks after work with other colleagues, my birthday came round. Lots of people from work celebrated my birthday with me at the pub and the husband and I talked endlessly and flirted outrageously. 8 months later we moved in together (with family) before moving in to our own house together in March 2014. We’ve had our ups and downs, mainly in the early days as we got used to each other but the love I have for my Husband is one like none I’ve experienced before. On 20th October 2014 whilst on holiday in Cyprus he got down on one knee on the beach. It was our first full day on holiday. Unfortunately I wouldn’t say the proposal was a total surprise. We find it difficult to keep secrets from each other; the first clue I had that he was up to something was the Saturday he went down to ask for my fathers blessing. He went on his own, didn’t tell me where he was going and took our car; the time he was gone for and the amount of petrol used from the car indicated to me he had gone down to my parents house. The second clue came when 1 week before our holiday we both went shopping, separately, for last minute bits for the holiday. He was gone much longer than I was! His excuse for being so long? …. he was looking for the best flip flops in the world … I’m not a detective, but surely anyone could figure that out? He chose a solitaire diamond set in the North, East, South, West setting. The pictures really don’t do it justice, it is simply stunning and I couldn’t have asked for better. So that’s a little bit about me and the engagements that led me to start and continue writing this blog. The content of my blog is a mix of both my thoughts and ideas, as well as tips and inspiration that I have found online. If I have featured your photos in my blog and you want them removed please contact me. I do try my best to credit and link any content that isn’t mine to the original source.